On 12th April we celebrate the lives of street children and highlight the efforts to have their rights respected and their needs met in a caring and respectful manner. 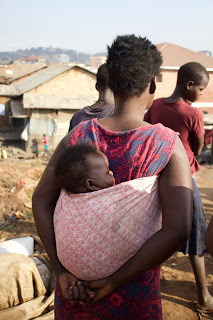 The Collins Dictionary definition of a street child reads as follows, ” Street children are homeless children who live outdoors in a city and live by begging or stealing”; however they are so much more than this! That child you see on the TV advertisements, news articles, social media, leaflets and brochures, they have a background, they come from somewhere, they have a story and they, like you and I, are an individual. So the burning questions – how is this fair? why them and not me? why do I get to live a life of love, safety, security, contentment and not them? 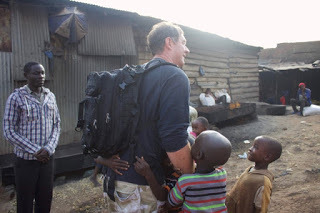 Uncle Roger on a visit to Katwe, a slum area in Kampala, Uganda’s capital. Being greeted by families living here. 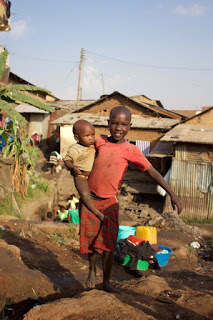 The hidden and isolated nature of street children makes accurate statistics difficult to gather; however, UNICEF estimates that there are approximately 100 million street children worldwide with that number rising. On the streets, these children are facing many great difficulties including poor health, sleep deprivation, malnutrition, infection, physical, sexual and mental abuse and sadly the list goes on. Many of the children take up drinking alcohol or using drugs to subside their hunger help them deal with the harsh realities of street life. 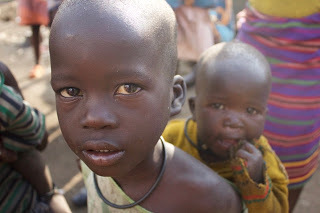 New Beginnings works in conjunction with the Uganda Government and police to rescue children living on the streets to reform their lives. At New Beginnings Children’s Village we have heard and seen first hand what living on the streets is like. Being 10 years old, and sniffing paraffin (aeroplane fuel) to ease hunger pangs was once a sad reality for many children now under the care of New Beginnings. When we don’t hear or know of these children and their stories, it is very easy to ignore. 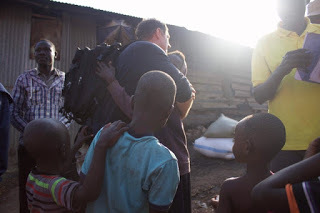 We learned that orphans are easier to ignore before you know their names. They are easier to ignore before you see their faces. It is easier to pretend they’re not real before you hold them in your arms. But once you do, everything changes.” These children are very real, they are living on the streets with no one to care for and love them. Imagine yourself or a child you know and love in that situation… even the thought is unsettling. Perhaps the most important aspect of living that we sometimes take for granted is the quality of life that we receive by living and working where we do. Your geographical location, meaning where we are born, can determine the life we live and the struggles we will face. In 2018, CSC launched a 5-year ‘4 Steps to Equality’ campaign – a call to governments around the world to take four steps that will achieve equality for street children. In 2019, we concentrate on Step 1: Commit to Equality. We call on Governments to recognise that street children have the same rights as any other child and to reflect that in law and policy. Partner with New Beginnings today and join the movement – let’s recognise & reach out to street children. 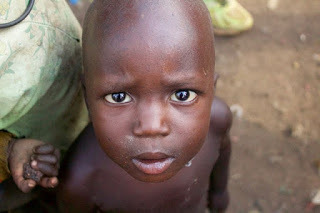 If you wish to support the work of New Beginnings to help street children please get in touch by email for more details. Previous What's New at New Beginnings?